Saudi Arabia's air defences on Wednesday intercepted a ballistic missile fired from rebel-held Yemen at Riyadh, a military spokesman said, adding two others were shot down in southern Saudi Arabia. The announcement came after explosions and blasts were heard over the capital, which has previously been targeted by Iran-backed Houthi rebels in Yemen. "An Iranian ballistic missile launched from Sadaa towards Riyadh was successfully intercepted by Saudi Air Defence at 7.40am today," Colonel Turki Al Malki, spokesman for the military coalition fighting the Houthis, said. All air traffic was suspended in accordance with the international laws of aviation, which later resumed after neutralizing the threat, he stated. Upon examining the debris of the object by Coalition specialists, it was found to be a hostile Houthi combat drone, with Iranian characteristics and specifications, which was attempting to attack the airport- an area protected under international law. Col. Al-Maliki said Saudi forces also intercepted two missiles in the southern Jizan and Najran provinces close to the border with Yemen. "At 5:30 pm today, the Coalition air defence spotted 3 missiles that were launched by the Iranian-backed Houthi militia from within the Yemeni territory of Sa'ada and the Northern part of the territory of Amran towards Saudi Arabia. One of these rockets was headed to capital Riyadh, while the other two were directed at the cities of Najran and Jizan, targeting civilian and populated areas. 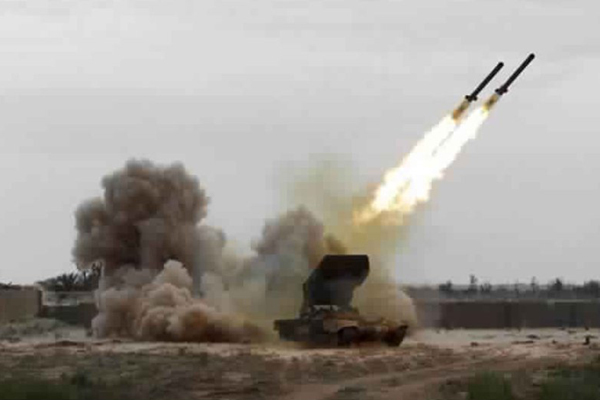 All of these missiles were intercepted by the Saudi Royal Air Defense forces," he added.